Google Chrome is a very popular web browser. It is free and was created by Google. It uses the WebKit layout engine to render web pages. Chrome was released to the general public in December, 2008. Google Chrome is simple and easy to use which has prompted many to switch browsers. It is also interactive and fast, making searching a breeze. Google Chrome has many neat features that tie together the user’s online experience. Google Chrome is gaining many new users by the day, making it one of the most popular web browsers in the world. Google Chrome is currently battling it out with Internet Explorer and Mozilla Firefox for top spots and depending on the day either of them can be in the lead. Google Chrome is available for Chrome is available for: Windows: XP Service Pack 2+ / Vista / 7 / 8, Mac OS X: 10.6 or later, Linux: Ubuntu 8.04 or later / Debian 5 / OpenSuse 11.1 / Fedora, iOS, iPhone, iPod touch, iPad and Android 4.0 or later. Google Chrome features a sleek easy to navigate user interface. It includes back, forward, cancel, refresh and menu buttons. A home button can be added through the Settings page in order to make a new tab or a customized home page. Tabs are the main component of the user interface. They are located at the top of the window. Tabs can be transferred between window containers by simply dragging them across. Within each tab there is its own set of controls. 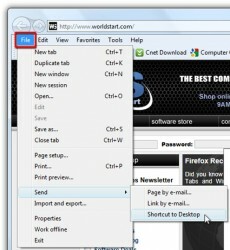 Omnibox is a very popular control that combines the functions of the search box with the address bar. By using Google Chrome a tab is created that regenerates popular searches and automatically complete the URLS of sites that are often visited. Google Chrome will also suggest previously visited sites and popular searches. 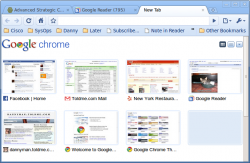 Newer versions of Google Chrome feature a revamped New Tab Page. The New Tab page displays thumbnails of the eight most frequently visited websites. 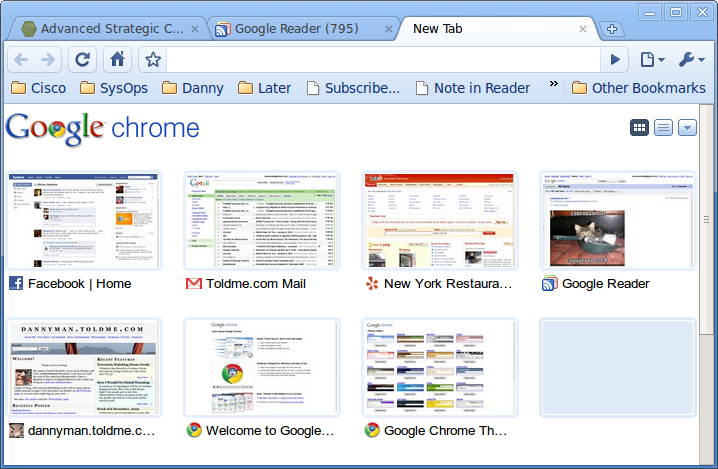 Google Chrome also features a bookmark manager that can be opened from the menu. 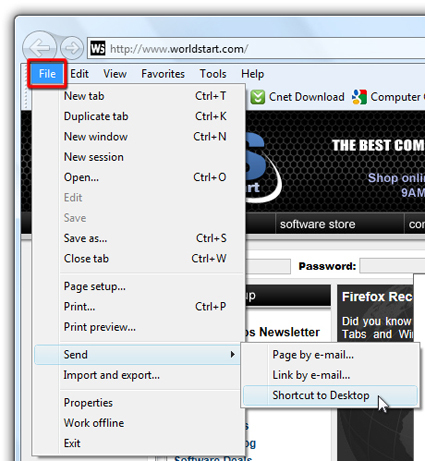 Users can also install themes to change the look of the browser. Google Chrome also offers automatic web page translation. By utilizing Google Translate users can now have a web page translated into over 52 different languages. Google Chrome is a very secure web browser that periodically retrieves updates for phishing and malware. Google Chrome also warns users when they attempt to visit a harmful site. 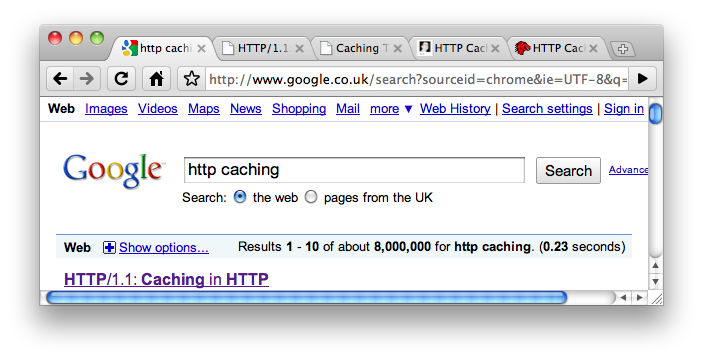 This service is free and is available for use by others using a public API called “Google Safe Browsing API”. Google Chrome has its own processes in place to prevent malware from installing itself. Chrome’s security prevents keeps each tab seperate, preventing your security from being breached. Each process is stripped of its rights and can still compute, but cannot write files or read from user sensitive areas. Google Chrome’s security features based on sandboxing has been rated higher than Internet Explorer and Mozilla Firefox. In newer versions of Chrome users will find even greater security functionality including download scanning protection. Users can also use the privacy mode browsing feature called Incognito. Cookies and history are wiped cleaned and not stored using this function. Google Chrome is a user-friendly browser that has many features that make navigating the internet easily and fast. Many people are making the switch to Google Chrome noting that it has powerful security features. Google Chrome also makes the user feel in control of their web browsing experience allowing users to customize and adapt.